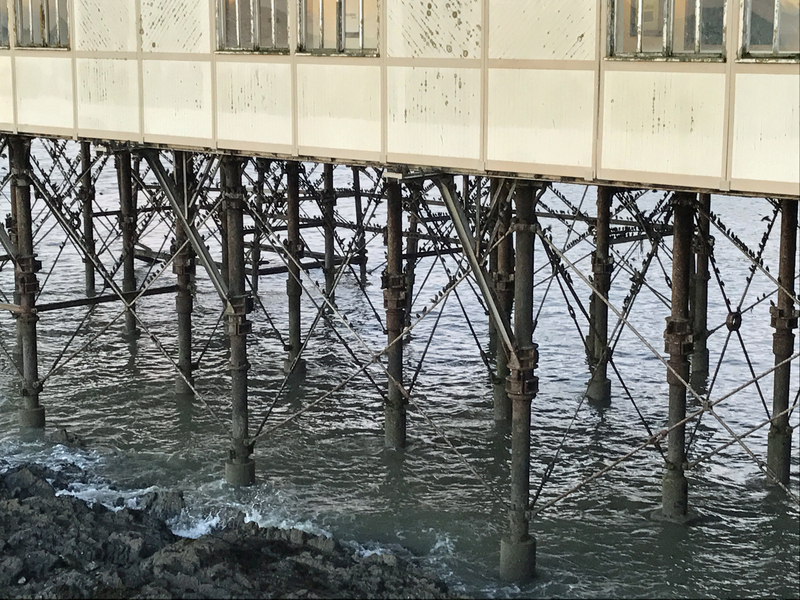 Aberwyswyth on the mid Welsh-coast is a seaside resort and a very traditional small seaside town, with promenade, castle, Georgian hotels all along the sea front and a pier pointing out to sea. 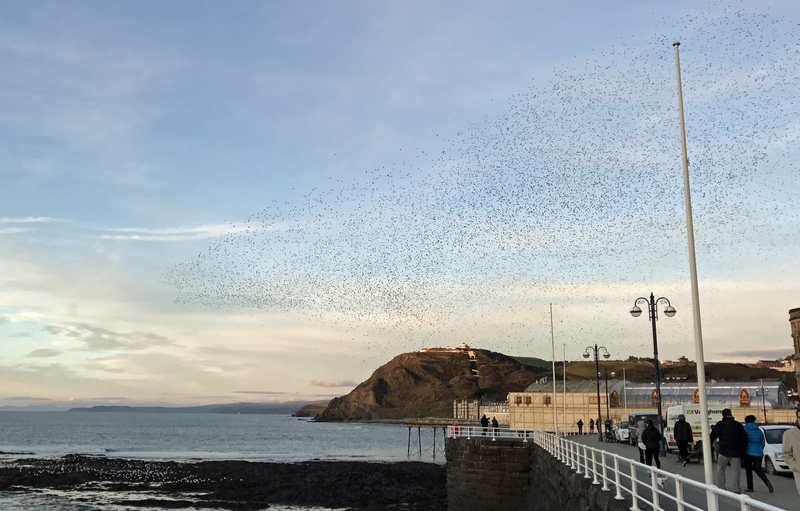 This pier is there for the entertainment of holiday-makers and day-trippers alike but many of these human visitors do not realise that many more starlings visit early each evening that humans during the day. 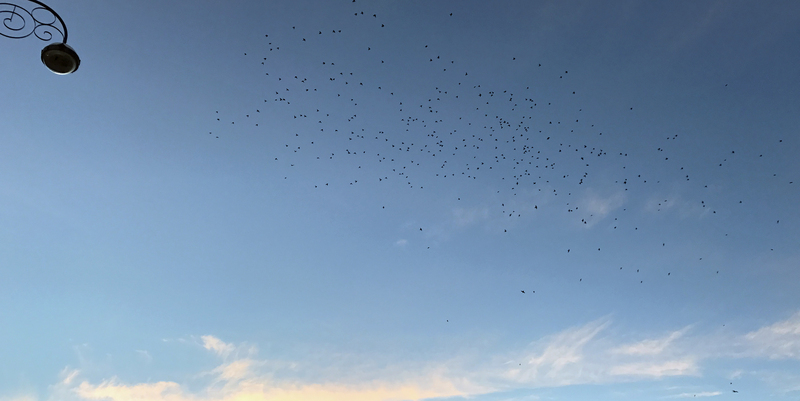 As light falls tens of thousands of these black glossy birds put on a great aerial display, a show in the sky above the waves, an extravaganza! 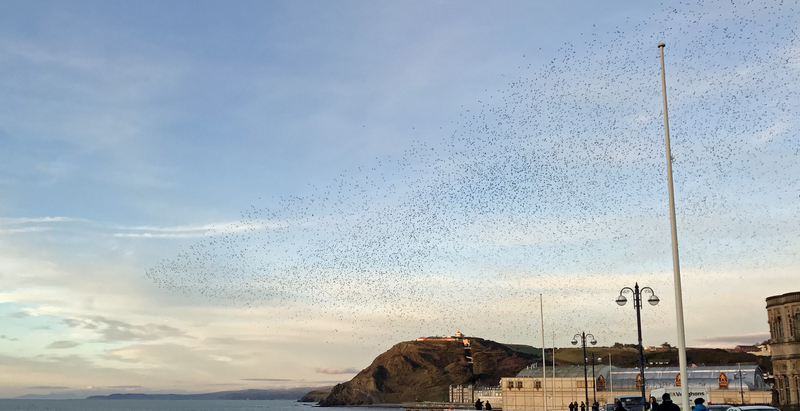 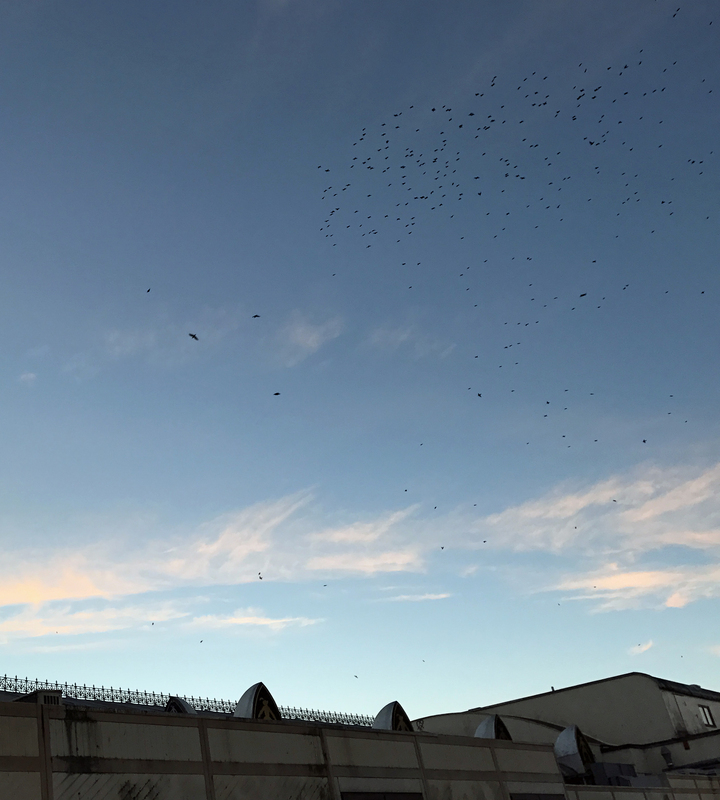 A murmuration no less – one of the wonders of the natural world far superior to anything man can create.